REGISTER NOW FOR OUR "AUTOMATE CONSISTENCY" WEBINAR, NOVEMBER 27. 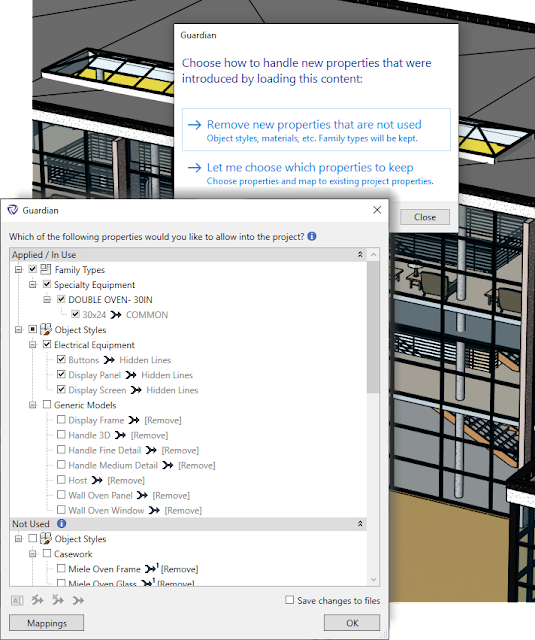 See all new incoming properties, including shared parameters, materials, patterns, subcategories and more! 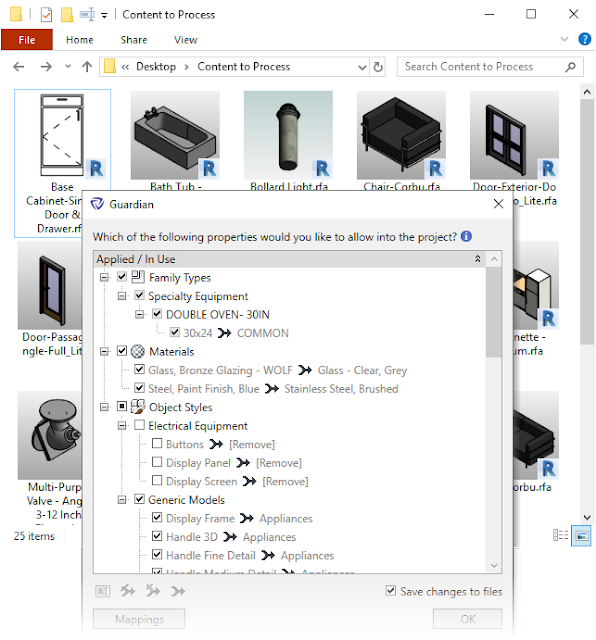 Remove unused properties including patterns and subcategories. Map any property into existing project properties. Works when loading families, copy-pasting anything between projects, even exploding CAD! As you or others make decisions, Guardian stores these in the cloud into "mapping configurations". NEW: Connect projects together by assigning common mapping configurations. If same properties are discovered, Guardian automatically enforces the decisions you made previously. 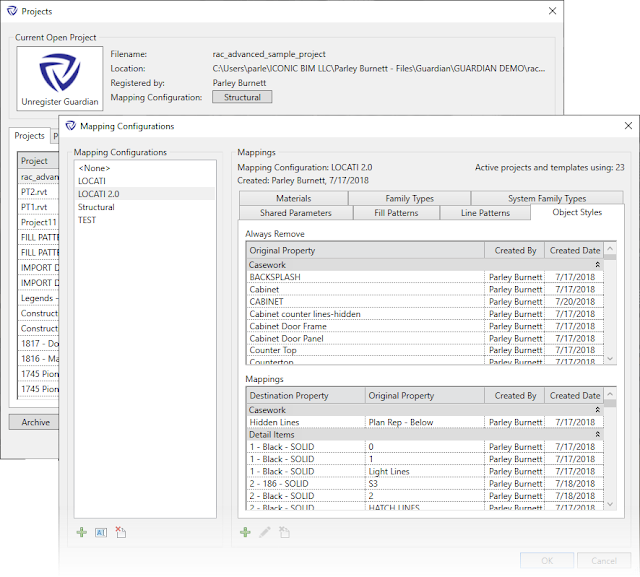 NEW: Restrict or warn upon certain user actions such as exploding CAD or purge unused. "It becomes more and more interesting the more I hear!" Align your library with your template. As you bring content into your template, map your incoming properties. Guardian converts buried values to new properties, even through nested family structures. Rest easy knowing users can use old versions of content and Guardian will clean it! - Chris Shafer, Digital Design Leader @ HDR Inc. Questions about Guardian? Want to try it out? "The support is absolutely outstanding, just to add to the icing!" Guardian is brought to you by Iconic BIM. Pricing was not known at press time. There's more information available on the Iconic BIM website.